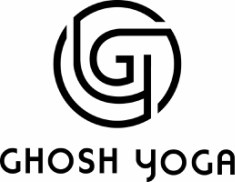 The Ghosh Yoga Mentorship Program is an ongoing monthly program in which participants receive personalized guidance in order to effectively reach their goals, whether in practice, teaching or both. Set goals and create a sustainable course of action. Receive feedback, support and guidance. Be held accountable and make progress. make sure it's not wasted. ...it's time to commit to progress. "I feel strong in body and mind and in total awe with what they are capable of doing! I am super excited with this process!" my life and routine again." "I have practiced so many opening exercises for many years now and with many teachers and I just always end up feeling really beat up and like I'm being torn apart at the limbs. I feel this method is smart, approachable and dignified. Two month commitment to start. It can take time to see progress. Continued mentorship on a month to month basis after the initial commitment.